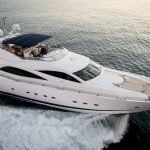 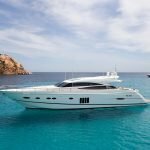 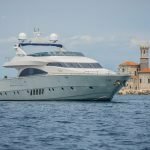 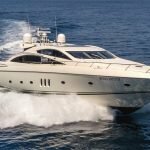 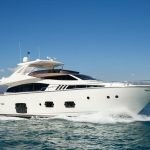 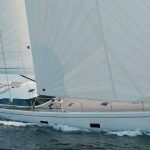 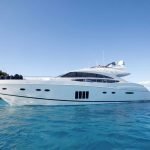 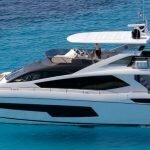 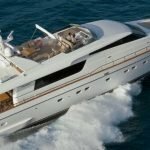 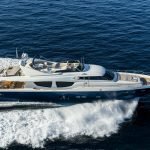 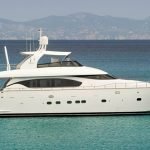 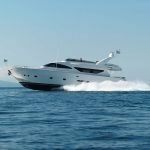 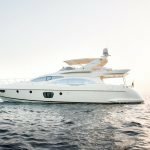 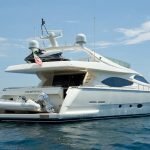 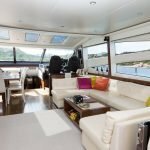 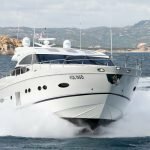 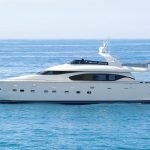 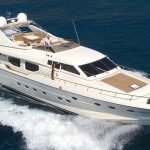 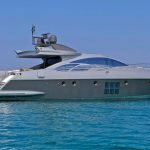 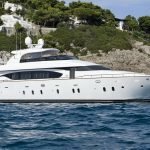 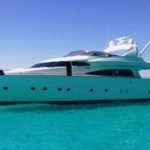 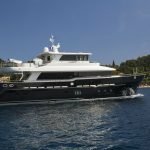 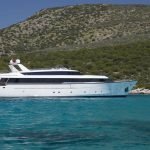 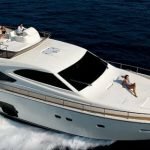 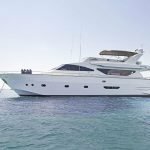 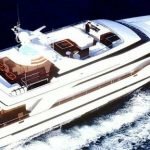 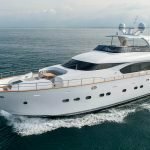 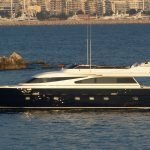 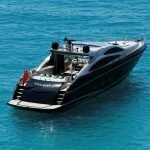 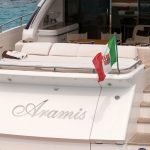 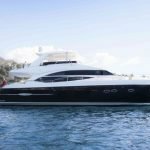 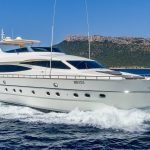 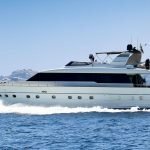 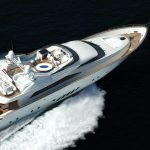 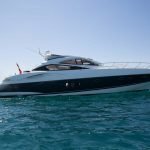 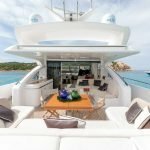 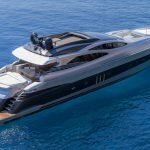 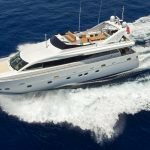 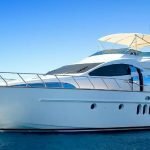 Powerful and sleek ARAMIS Princess V78 is a 23,8 mt. 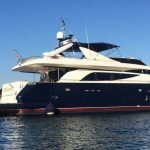 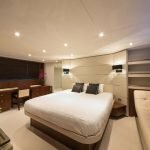 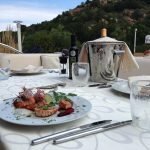 luxury motor yacht built in 2011, elegant and stylish, with unlimited spaces and modern technology. 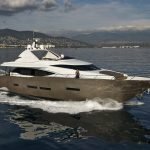 She features raised bulwarks, deep-V hull and powerful engine ensuring excitement, comfort, performance and safety. 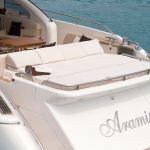 ARAMIS has a contemporary, elegant interior featuring a harmonious combination of crisp whites, warm wood floors and subtle cream headlining. 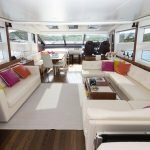 A magnificent entertaining space can be derived by opening the electric drop window thus transforming the saloon and the enormous cockpit into a large bright area. 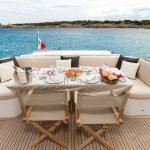 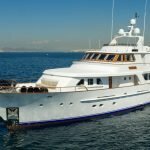 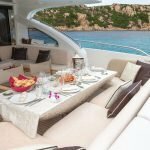 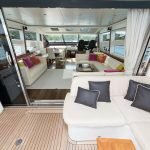 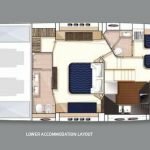 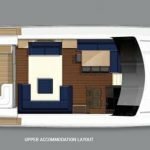 The yacht has a forward dining area, a large opening roof, a U shaped sofa, love seat, coffee table and sliding glass door, leading directly onto the expansive aft deck, complete with additional seating, an alfresco dining table and generous sunpads. 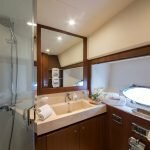 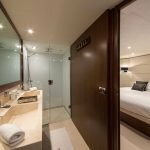 The stylish lower accommodations offer an exclusive full-beam master suite with king size bed and vanity, a VIP suite on the bow with queen size bed and the two further cabins with single beds and Pullman berths (convertible in a studio on request), providing top quality of life on board and great comfort to the guests. 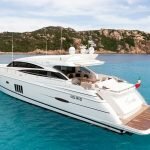 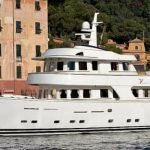 The yacht includes a 4 mt. 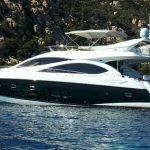 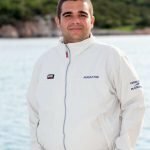 tender with Yamaha 40hp, watercraft on request, water ski and inflatable toys.